you have such lovely photos. i followed u in gfc, bloglovin, pinterest, twitter and facebook. btw, thanks for dropping by in my blog. Love this image! The quality of the film is fab. Hi dear, thank you for your nice comment on my blog: I checked immediately your blog with the result: I like it! Thankyou for your comment on my blog! Thanks for stopping by my blog. Nice photography here! You are incredibly gifted! I love your photos! This looks like the outside of Prospect Park. Am I close? Hope you're having fun in NYC! It is near where you live. You're very good at English!! 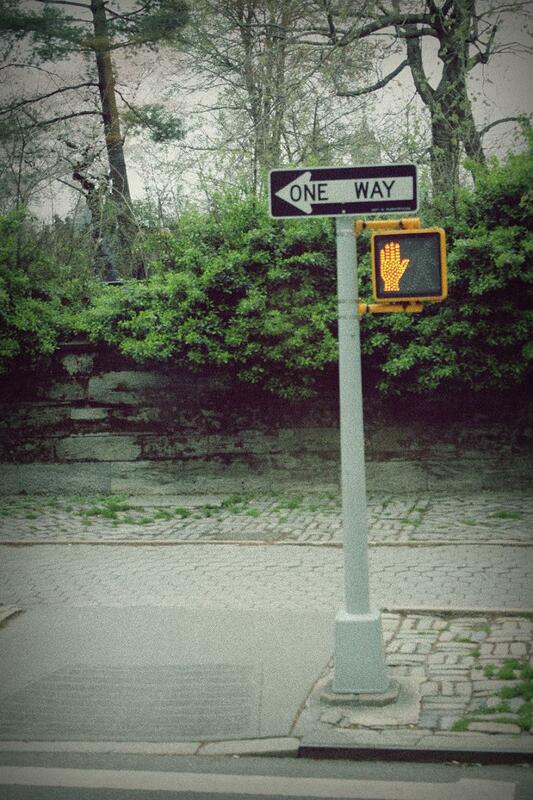 Cool photo...lol at the fact that there is a pedestrian traffic sign on a one way street.